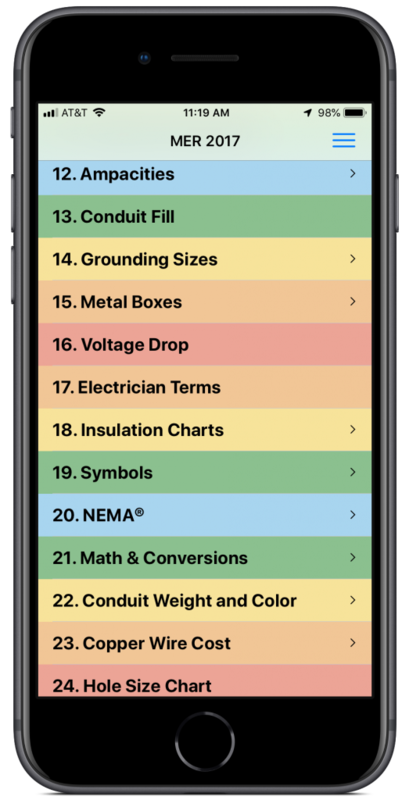 Master Electrician Reference (or MER for short) is your electronic pocket electrician reference guide. It is an app, a book, and a calculator all in one! Pick the version of MER that matches the NEC® code cycle you are using. We do not charge a yearly subscription fee nor do we have in-app purchases. Have ideas for improving MER? Send us an email (info@paweng.com) with your suggestions! If you are an electrical designer, engineer, installer, contractor, facility manager, inspector, exam candidate, apprentice, electrician, journeyman, architect, or technician, MER is for you. 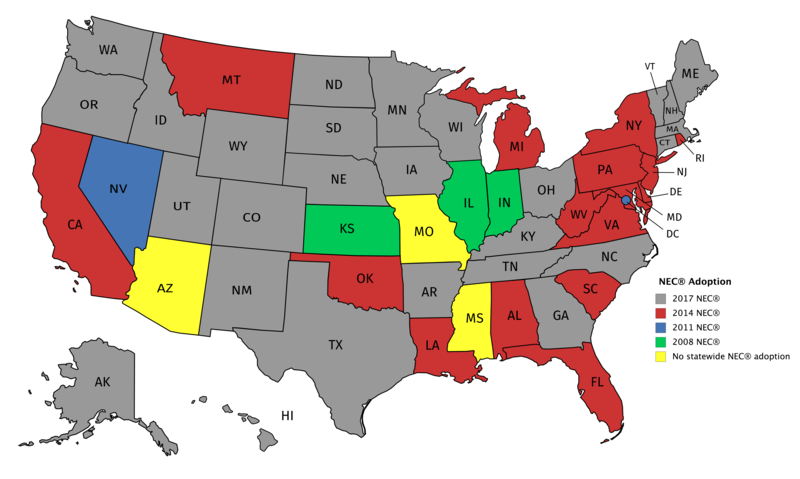 If you do residential, industrial, and commercial work, MER is for you. Simply, if you work with electricity, this reference guide is for you! MER contains tables reprinted with permission from NFPA 70-2011, 2014, 2017, National Electrical Code®, Copyright © 2010, 2013, 2016, National Fire Protection Association, Quincy, MA 02169. This reprinted material is not the complete and official position of the NFPA on the referenced subject, which is represented only by the standard in its entirety. 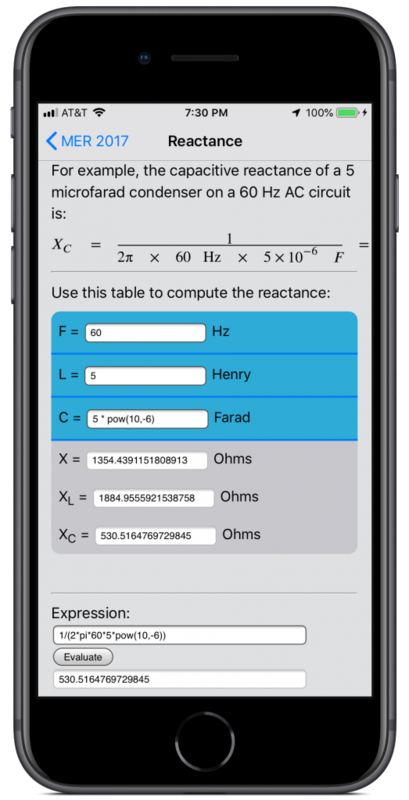 – Ohm’s law, series and parallel circuits, capacitance, inductance, impedance, and reactance. – Distribution wiring diagrams for 120, 208, 277, and 480 volts, color codes, breaker sizes, light switches and bells diagrams. – Formulas for kVA, kW, and HP. – Color codes for capacitors and resistors. – Standard motor and motor starter sizes, tables of full-load currents, locked-rotor information, overload units, OCPD, nameplate information, synchronous motor speeds, three-phase STAR and DELTA diagrams, three-wire start-stop diagram, motor frame dimensions, and motor enclosure types. – KVA ratings for single- and three-phase current, transformer formulas. 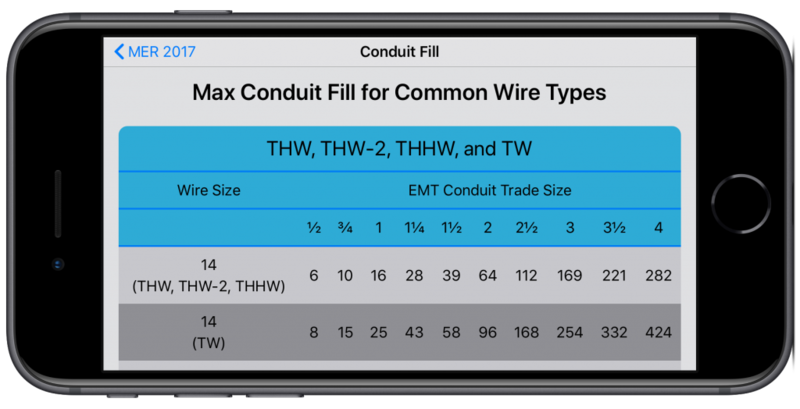 – Conductor tables, AWG and metric wire sizes, twist-on pressure connectors, and wire combinations. – Ampacities in raceway, cable, earth, and free air, and derating tables. – Equipment grounding conductor (EGC) and grounding electrode conductor (GEC). – Images and sizes of metal boxes, junction / device boxes, junction / pull boxes. – Plugs and wiring diagrams, enclosure types, standard underground boxes, standard fuse and breaker sizes, standard pull box / junction sizes, standard gutter and wire-ways, standard switchboards, standard busway, standard busbar ampacity, standard panelboard sizes, and standard disconnect sizes. – Formulas for geometry, fractions, temperature conversion, trig tables, unit conversions, metric prefixes, and conversions between inches and millimeters. – Includes the guide “The Master Bender Way” on how to bend conduit. – Fluorescent, high-intensity discharge, incandescent, LED, and low-pressure sodium. 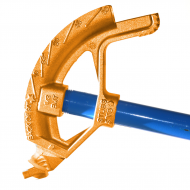 – Lugs, bolts, and screws, tightening torque. – Lock-out / tag-out (LOTO), and a safety manual and first aid.